Some people still call it a “torch”, taking themselves back to the centuries before 1890 when a man named Conrad Hubert developed the first item you know as the flashlight. Hubert was the innovative individual who founded the Eveready company, which began to deliver people from the dark of night with a portable beam of light. The first products were crudely made using paper, fibre, a bulb and a brass reflector. A few years later the power source became more dependable, with the introduction of the “D” cell battery in 1898. These first cells didn’t hold up very long. In fact, they produced a true flash of light from the carbon filament, which gave these early attempts a name which lasted through the decades. Eventually, others made improvements to flashlight construction, using aluminium tubes and two “D” cells with a reflector made of plastic. The bulb, based on early incandescent technology, produced a dim, short-lived light. Fast forward a few years and you have the development of the Maglite and Streamlight, two names now well-known among those shopping for modern lights. These companies were founded in the 1950s and 1960s, introducing improvements such as the rechargeable battery and the halogen bulb to everyday production. Other changes included the use of nickel/cadmium in batteries and a variable-focus operation to give the light some variety. Battery technology continued to improve, as did bulb and reflector construction. Lights began to produce powerful beams that could be used for longer periods of time. Flashlights of the late 20th century and the current century produce dependable light over periods of hours, instead of minutes. Flashlight batteries now come in an array of shapes and sizes, depending on light design and intended use. Larger products might use the “D” cell, while smaller, more convenient systems make use of the AA battery. 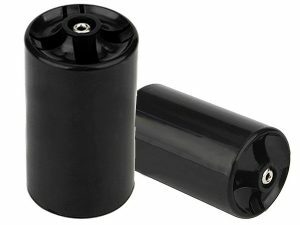 With the changes made in every part of the modern flashlight, it’s now possible to have a strong, long-lasting beam using very small batteries. Before taking a closer look at some of the best AA flashlights, take a few minutes to understand the difference between the AA and the AAA design and performance. Generally, you won’t have to worry about availability when it comes to AAA batteries or AA batteries. Several companies manufacture these power sources and they are available almost everywhere. One of the key selling points of the smaller AAA flashlight is the reduced size. You can, of course, buy disposable batteries in this size, as well as rechargeable AAA batteries. The AAA light has two key features – small size and portability. You can even use a reliable, key-chain style flashlight with one or two batteries. This is a good choice for everyday use, though there will be some limitations in beam strength and reach. 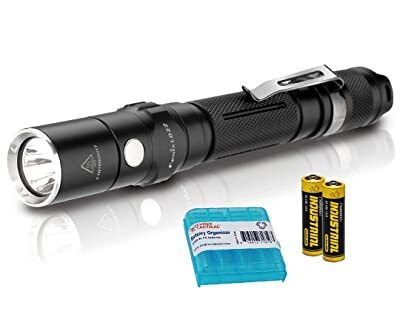 With the slightly larger AA flashlight, you are at the beginning of the “tool” category, since you can use these to navigate in the dark and find “things” in some of the dark corners while working. It’s not necessary to have a massive floodlight because the 50 lumens or 100 lumens of the AA light should be just fine for walking your dog at night or looking for a small item you’ve dropped somewhere. Function and size are key features of the AA flashlight, making it a somewhat better choice than the AAA version. 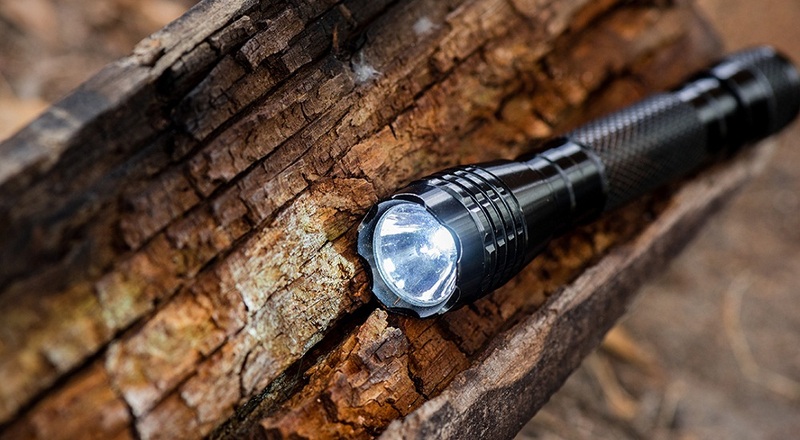 There are a few essential features you should look for in a flashlight. At or near the top of the list would be the type of batteries you will use. 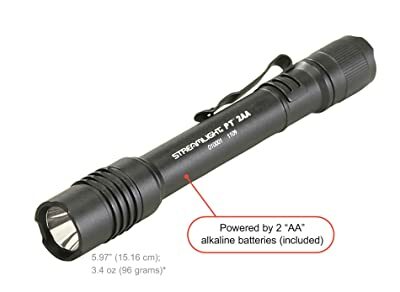 You can buy flashlights with a charger so you’ll re-use the AA batteries several times, or you can buy AA batteries that are meant to be disposed of when their charge is used up. This is really a matter of personal choice, though some people prefer the non-chargeable type, so they don’t have to be concerned about being without power away from the charger. 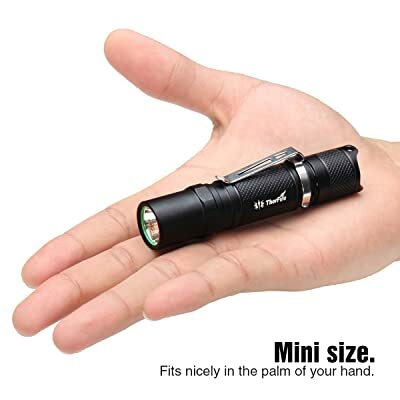 Choosing a AA flashlight also means you are making a “size” decision as well. Because this type of light is relatively small it can be carried quite easily in your pocket or in a small backpack. You may sacrifice the power and brightness of a larger light (“D” or “C”) cell when you choose AA, but you get convenience and function in a small package. It’s also important to consider the material the flashlight body is made of. Spend too little and you get a plastic case that can be cracked or crushed during use. Spend a bit more and get high-grade aluminium or stainless steel. This is a decision that should be based on how your flashlight will be used. If it is going to be used for less-stressful duty around the home, plastic might be just fine. If this is going to be a “working” light, you’ll be better served by steel or aluminium. 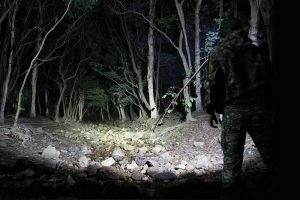 When buying a AA flashlight, or any light for that matter, you should consider how far the beam will reach, especially if you’ll be using it for searching or for night activities. You should also think about lumens, which is the measurement for how bright it will be. Consider the newer LED lights with higher lumens for the best performance (as a general rule). It’s also important to consider how long the batteries will last, which is related to the rechargeable/non-chargeable question. Is the flashlight easy to operate? Is the on/off switch or button convenient and easy to operate with one hand, for example? Finally, you’ll need to consider price and brand. Do you get what you pay for? Are you paying for a brand name, when another, lesser-known product would perform better? It’s now time to look at specific flashlights in the AA category. 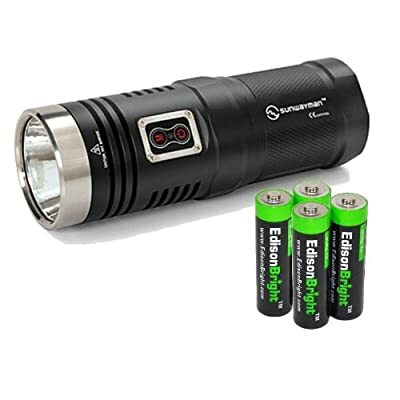 The Sunwayman AA flashlight delivers up to 980 lumens using readily available AA batteries. Features include a dual-button side switch, holster with magnetic control, and a brightness range from 30 to 980 lumens. Modes include Moon, Strobe, SOS, Aviation Signal and Police Strobe. Four EdisonBright AA batteries are included in the purchase. This flashlight delivers great feel in the hand and build-quality is outstanding. It also has mode memory and four brightness levels that cycle from high to low. The Sunwayman delivers plenty of light for almost any situation. This light weighs 12 ounces and is more than 3 inches in diameter, making it hefty without being awkward. 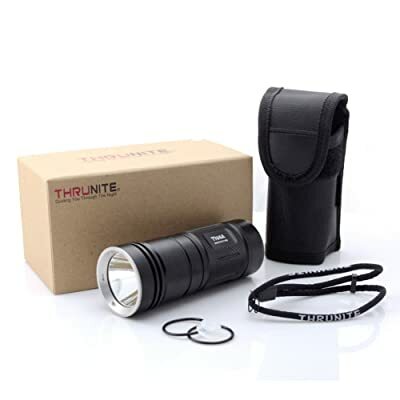 ThruNite’s TN4A brings you up to 1150 lumens with four AA batteries as the power source. It has Intelligent Temperature Control to prevent overheating, which extends battery and flashlight life. Feature include the very clear, hardened-glass lens with anti-reflective cover. Includes the CREE XPL-V6 LED lighting system. Modes of operation include Strobe, Turbo, High, Low and Firefly. This flashlight features an LED indicator for battery level, mode memory and great beam reach. Excellent features and performance at a reasonable price. 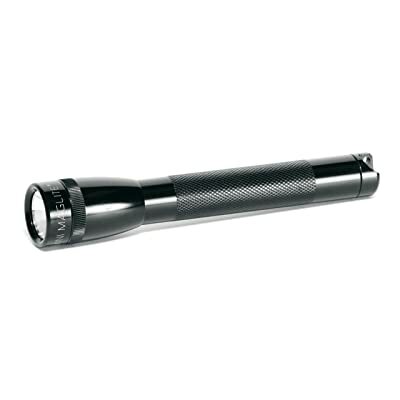 The Streamlight 88033 ProTac has a different design, with smaller diameter due to battery position. Yet it’s still only about 6 inches long, so it’s easy to use and comfortable in the hand. The 88033 is definitely a classic-design AA battery light in a durable case. You’ll benefit from the C4 LED technology that delivers up to 50,000 hours of useful life. 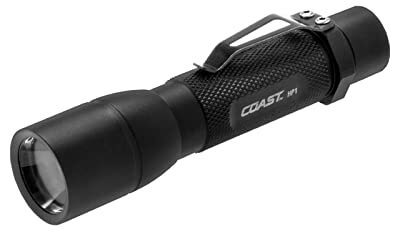 Operate this flashlight with one hand for Strobe, Variable Intensity or Momentary beam. It also features an anti-roll face cap and pocket clip. Use either a CR123A or AA battery for extremely bright beam performance. This compact little AA flashlight has an aircraft-quality aluminium case and CREE XP-L V6 LED beam. 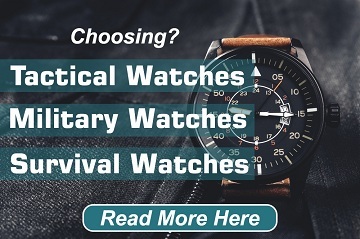 Suitable for use in law enforcement, security, emergency services, camping and light duty. You’ll appreciate the extra brightness with Lithium-Ion battery. The two-year warranty and extra O-rings are great features, as are the multiple modes – Firefly, Low, Medium, High, Strobe. Anti-roll head makes this flashlight convenient to use in working situations. The 300-lumen Fenix LD22 features CREE XP-G2 (R5) LED technology for up to 50,000 hours of life. It’s convenient and easy to handle, with holster and lanyard included in the package. Great for camping and other outdoor adventures. Uses Ni-MH or Alkaline batteries. Features include push-button switch on tail cap and momentary-on function. Two-year warranty is a great benefit as well. You’ll appreciate the brightness and the rugged construction of this small flashlight. A slim but powerful little AA flashlight that delivers 345 lumens and LED illumination. The beam reaches up to approximately 500 feet. 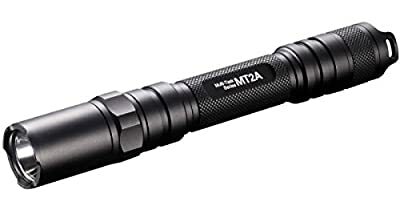 This Nitecore MT2A uses two AA batteries and features three brightness modes including Strobe and SOS. Benefits include easy-to-adjust brightness, easy to carry and an extremely durable case. The Nitecore light also steps to the head of the class with its floodlight performance from a small package. Use a single AA battery or one 14500 battery with this very small, lightweight flashlight. It delivers 300 lumens and comes at a very attractive price. The detachable clip makes it great for belt or pocket carry. The Thorfire TG06 features several light modes and will serve you well indoors or out. The company has made it with a glow-in-the-dark O-ring so it’s easy to find. Inexpensive little light with three modes, adjustable focus and 300-lumen output. The design is excellent for carrying in all situations, and it will stand up to regular use with lightweight aluminium case that’s quite durable. Uses CREE Q5 LED technology for excellent brightness from one AA battery. You may want to have two or three of these, for performance and the great feel in your hand. 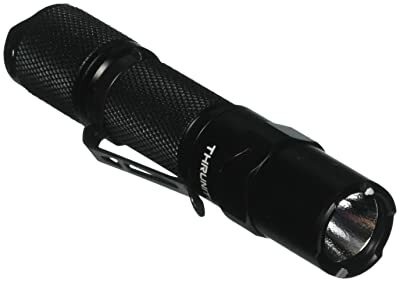 This small and very useful AA flashlight comes from one of the most-recognizable names in the industry. It uses two AA batteries and will fit your pocket quite comfortably. You can rely on its five-hour run time and adjustable focus that takes you from flood light to laser focus. As with some of the other smaller lights, you may want to own more than one, since you can choose from different colours. Slip in one AA battery and you get 190 lumens that can reach beyond 500 feet. Battery time is a bit limited with the Coast HP1, but it does deliver well with a great focusing system. Body material and construction make this small light stand up to regular use. Can use rechargeable batteries and it is quite affordable. 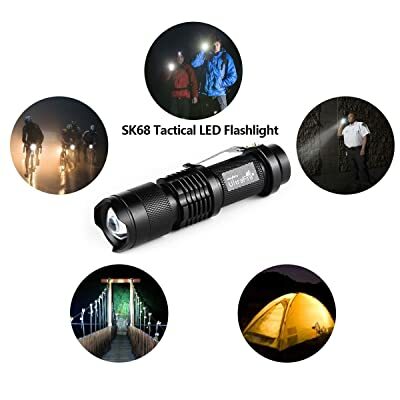 It’s difficult to choose from among these excellent flashlights, since they vary widely in shape, size, number of batteries. But the list should give you plenty of information so you can select a light you need for your specific purpose. As you can see, some products are a bit bulkier because they use four batteries, but they deliver outstanding lumens. Others use one battery and are better for carrying in the pocket. What you sacrifice in luminosity you gain in ease of use and size. In most cases, there are two lights of similar design that both qualify as “Best” in some category. Warranty is important, as in durable construction. As mentioned in the introduction, reach is also a factor to be considered. You’ll pay more for the larger, more-powerful lights, and half as much for the smaller, one-battery models. You may end up buying one of each. Which AA makes a LED flashlight the brightest – eneloop Pro, regular eneloop 2000 mAh, or other NIMH AA?